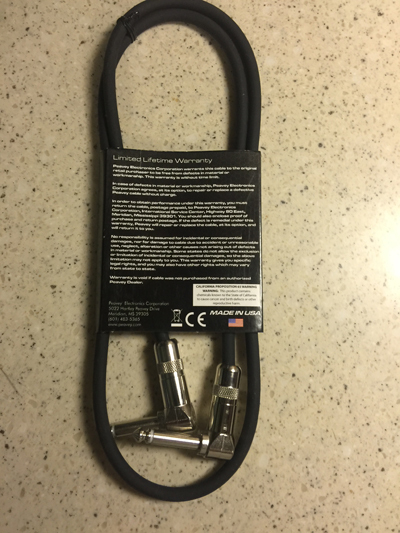 This is a prime quality limited lifetime warranty 3 ft. patch cord built to use with pedal steel guitar as the cord going from your pedal steel to your volume pedal---just the right length. 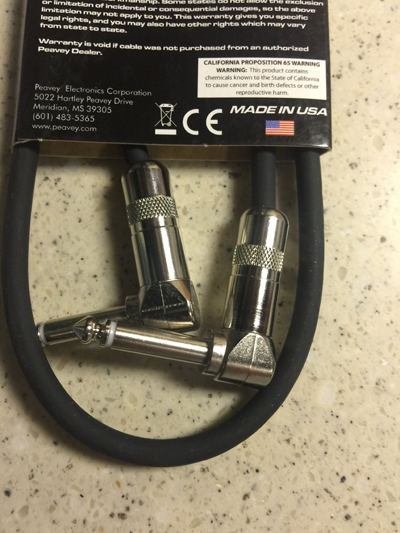 Sealed ends, with 90 degree angles on both ends to make it much easier to use on a pedal steel and insert into and out of a volume pedal. 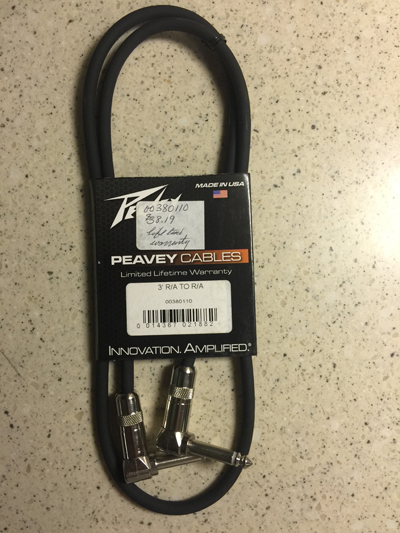 Highly recommended for the highest quality cable made in the USA by Peavey.